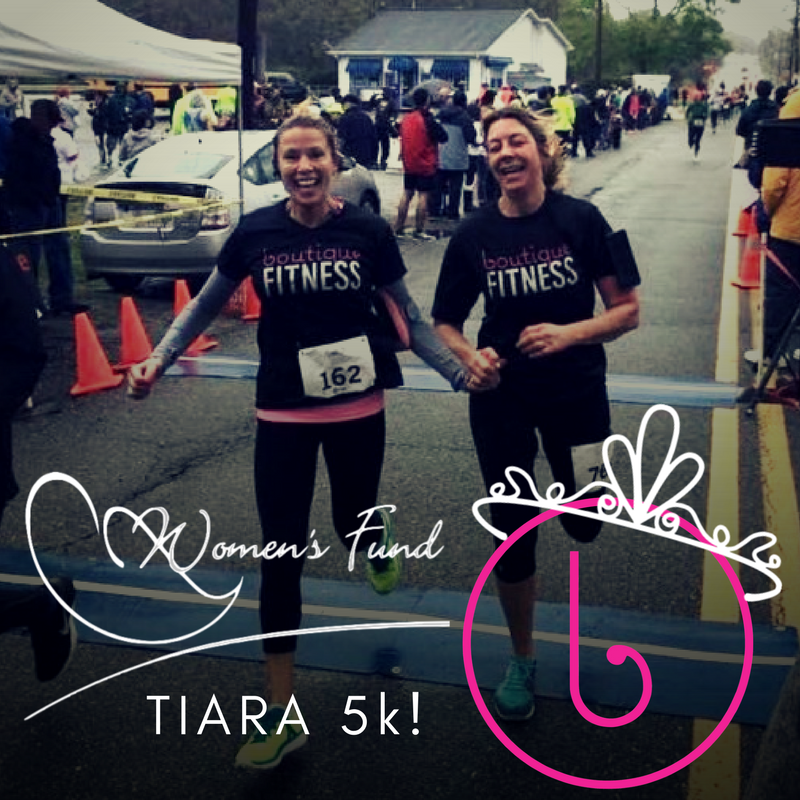 Spring is on the verge of staying for a while, and with Spring comes the Mother’s Day Tiara 5k. This race is near and dear to our hearts. Angela and I were both there for the very first Tiara 5k in 2006. I was there to stretch runners and Angela was there to run (it was her first 5k too). I served on the committee for 6 years and Boutique Fitness has been present with a stellar team since 2012. The Mother’s Day Tiara 5k is by far one of my favorite road races. We start and finish at Oxford Creamery in Mattapoisett; where we have music by DJ Mello, a kids fun run, face painting, Showstoppers, Miss New Bedford and surrounding title holders, ice cream from Oxford Creamery… All the frills for all the moms (and families) who participate on Mother’s Day. Whether you’re a seasoned runner or you have ‘run a 5k’ on your bucket list, this race is for you. Everyone is welcome! You can join the Boutique Fitness team by choosing ‘Boutique Fitness’ in the TEAMS drop down menu at registration. If you register on our team before April 21 you’ll get a Boutique Fitness race shirt! You will also have the camaraderie and support of dozens of people who are on your team. You don’t need to be fast, you just need to have fun! Register or sign up to volunteer today! You all have helped me learn to look at myself and be happy with who I am. I am grateful to all of you.